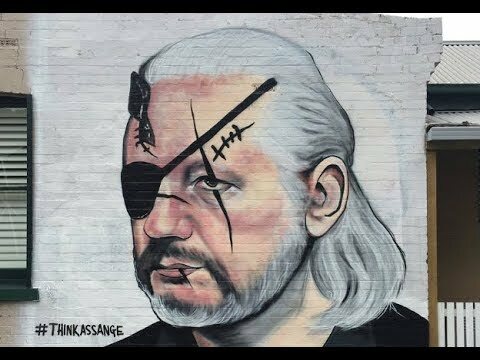 Founder of WikiLeaks Julian Assange has been arrested by the British terrorist pig thug cops, who are now looking to extradite him to the Fascist Police States of Amerika. To many, Assange is a genuine hero. Hopefuly, FPSA President Donald Trump - who has said he loves WikiLeaks - will pardon him. Sargon of Akkad reports. BRUSSELS, Belgium (PNN) - September 17, 2018 - 589 days. That’s how long Belgian residents were forced to live without an elected government between 2010 and 2011. Due to disagreements between the Flemish and Walloons, a coalition could not be formed. While the two political Parties fought out their many differences, a former prime minister oversaw a bare bones government that handled the basic day-to-day operations. MOUNTAIN VIEW, Kalifornia (PNN) - September 14, 2018 - A senior Google research scientist has quit the company in protest over its plan to launch a censored version of its search engine in China. Jack Poulson worked for Google’s research and machine intelligence department, where he was focused on improving the accuracy of the company’s search systems. September 13, 2018 - Last week, The New York Times published a scathing critique of Donald Trump - the man and the president. The Times said the critique was written by a senior Trump regime official who insisted on remaining unnamed. This bitter and harsh editorial, which portrays the president as dangerous to the health of the republic and his White House as slouching toward dysfunctionality, has understandably infuriated him. STRASBOURG, France (PNN) - September 13, 2018 - The European Union Parliament has moved to trigger what is referred to as the “nuclear option” Article 7 against Hungary. During the Parliament session in Strasbourg, France, 448 MEPs voted in favor of invoking Article 7 against Hungary, while 197 voted against the motion and 48 abstained. Article 7 of the 2007 Treaty of Lisbon, often dubbed “nuclear option”, is designed to be applied if there is “a clear risk of a serious breach” of the EU values by one of the member states. Once the motion has passed, it must be approved by 4/5 of the European Council. Then, if the procedure is implemented fully, a decision adopted by the “qualified majority” of the EU states may lead to Hungary’s suspension in voting rights at the European Council. Facebook bans ex-Democrat #WalkAway founder weeks before march on Washington! Modern day Nazi censorship is alive and well. MENLO PARK, Kalifornia (PNN) - September 12, 2018 - Facebook has banned Brandon Straka, the former Democrat who founded the "Walk Away" campaign and its viral hashtag #WalkAway, after he linked to Infowars.com, which has been banned from the platform. September 11, 2018 - This is the 17th anniversary of 9/11. During the years that have passed large numbers of experts have established conclusively that the official government account of the event is false. Every year fewer people believe the unbelievable conspiracy theory that a handful of Saudi Arabians outwitted the entirety of the Fascist Police States of Amerika National Security State, and attacked with hijacked airliners the World Trade Center and the Pentagon. NEW YORK (PNN) - September 11, 2018 - Nearly 10,000 people have suffered cancers linked to the toxic dust and smoke at Ground Zero, The Post has learned. The federal World Trade Center Health Program has counted 9,795 first responders, downtown workers, residents, students and others with cancer deemed 9/11-related. In all, more than 1,700 responders and others affected have died, including 420 of those stricken with cancer, officials said. September 10, 2018 - I’m often asked “How can you claim (Fascist Police States of Amerika) President (Donald) Trump is in any way supporting your antiwar agenda when he…” and this is followed by a reference to at least one of the places on earth where he’s violating his “no more regime change” pledge or otherwise supporting the unsupportable, as in Saudi Arabia’s war in Yemen. I’ve always answered by saying that, in the long run, and in a general sense, his November 2016 win was a giant step forward in that the anti-interventionist principle has been victorious even if it’s being imperfectly implemented. Hundred of patients thrown to the streets. MANILA, Philippines (PNN) - September 10, 2018 - Dr. Farrah Agustin-Bunch of the DFAB Natural Medical Center in the Philippines has been subject to an armed government raid that effectively shut down her facility, sending hundreds of patients to the streets. WASHINGTON (PNN) - September 6, 2018 - Senator Rand Paul (Kent.) said Thursday afternoon that he believes President Donald Trump would be justified in using lie detector tests to figure out which senior administrative official wrote the anonymous New York Times op-ed. The Washington Examiner confirmed Paul's comments with the senator's communications director, Sergio Gor. Democrat gubernatorial candidate tells Obama to 'shove it'! NYPD thugs seek to ban gun ownership to bad drivers and those in debt! Security fears mount as e-voting comes of age! Audience recites Pledge of Allegiance over moderator objections! Nevada voting machines pose concerns about fraud! Shadow groups have spent nearly a quarter billion dollars on 2010 election! Backlash grows against full-body airport scanners! Social Security is running in the red! Video: 9/11 report is a cover-up from start to finish!